get outside. reconnect. rewild yourself! Seekers Wild is outdoor experiences for youth and adults alike. 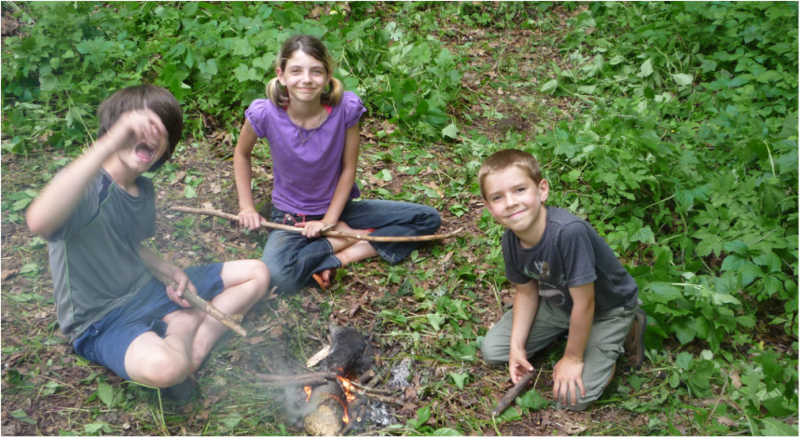 Through our summer camps and other outdoor education programs we seek to instill respect for, and knowledge of the natural world around us with the goal to create a community with a high quality of life. Our programs are based out of the LaCrosse, WI and Winona, MN area but we also travel to the surrounding wild places seeking outdoor adventure, nature connection, and living the best life we can. ​La Crosse and Albert Lea will have great times! The bounty of spring rivals and may be even better than the fall. Fresh herbs, vegetables, and medicines galore. Come learn some basics including many that are probably growing in your yard/garden. A crash course in learning some of the basic skills that could not only increase your chances of surviving a wilderness situation...but could also make an outdoor experience more fun...and impress your friends. "An outside experience...is always pleasurable." Click on "Kenny" for his wonderful seasonal video that will make you love every season. T-Shirts & Hoodies now available! Various Youth and Adult sizes in grey, green, and orange!